This time of year is magical; full of wonder and fond memories just waiting to be made. Unfortunately it also one of the most stressful times for many of us as we rush to keep up with mounting expectations of the season and rising costs. 77% of Canadians suffer from some form of excess stress, this according to a recent survey by Sun Life Financial’s 2013 Health Index. Even the Public Health Agency of Canada has recommendations on dealing with holiday stress and depression which you can find here if you’re having trouble managing. But what does holiday stress have to do with dentistry? The truth is, how you act and react, whether you are awake or asleep; your state of mind can have a huge effect on your oral health. Bruxism, the medical term for teeth grinding, is usually caused by stress and can lead to damaging existing fillings or other restorations. Grinding your teeth can also lead to changes in how even you bite is, and that can lead to larger problems with the Temporomandibular Joint or TMJ. 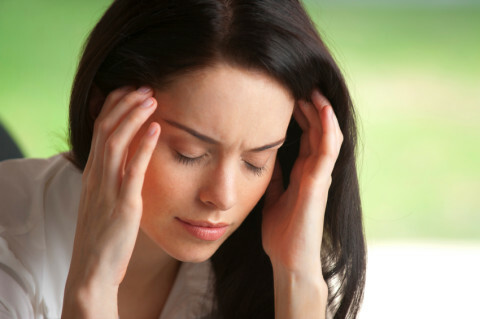 TMJ problems can cause trouble in your day to day life and you may be suffering from symptoms without knowing it. Headaches, jaw clicking and even snoring or sleep apnea are connected to TMJ. As you are probably aware, grinding your teeth can cause damage to the teeth themselves and can also lead to a tired, achy jaw. However, if you develop temporomandibular joint dysfunction (TMJD), you may be surprised by some of the more far-reaching problems that emerge. If you notice any of the following and they have no other obvious origin, speak to your dentist. If you have earache, it is more common for it to be caused by a minor infection than for it to be caused by grinding your teeth. However, if your doctors are mystified by your experiences of ear pain, it may be because the intense jaw muscle contractions linked to grinding your teeth are causing pain in your ear. In addition to causing pain in the areas, grinding your teeth can lead to pain near your eyes. Once again, you should always rule out any more obvious optical problems, but if none can be found then your eye pain may be related to grinding your teeth. Some people assume that jaw noises associated with grinding your teeth or suffering from TMJD must be painful. However, any clicking or popping noises coming from your jaw are likely connected to grinding your teeth, even if they are entirely painless. When the inflammation that can result from grinding your teeth gets particularly bad, you may actually be able to see a change in the shape of your face. Typically, the swollen areas will also be sore, and may be hot to touch. Many sufferers of TMJD also find that they struggle with associated neck pain. If you have been grinding your teeth particularly intensely, you may find that your neck is stiff or achy. There is a significant overlap between people who struggle with bruxism and people who complain of hearing ringing or buzzing noises in their ears. If investigations reveal no obvious cause for your tinnitus, it may be that there is a link between these aural experiences and grinding your teeth. If you think you might be grinding your teeth or if you have TMJ, contact a 123 Dentist clinic soon. We can help you figure out a solution that can prevent dental problems in the future!